We here at SkyTech Gaming pride ourselves on providing the ultimate gaming experience with quality, design, affordability, and the passion that we have for our systems. 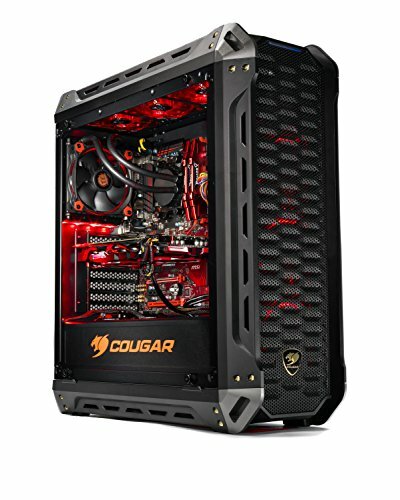 Our gaming machines are designed with uppermost quality components so our gamers feel that they have the reliability and speed to get them to the next level of any game of their desire. We care about the occasional novice gamer to the Pro Gamer because we value our fellows gaming community. We do not cut corners on components and put out the best quality PC and most aesthetic look that your friend will be drooling for. The SkyTech Siege offers the best computer built up to date with the AMD RYZEN 5 1500x Processor and GTX 1050 Ti 4GB Graphic Card. SkyTech also includes 16GB DDR4 2400 SDRAM and 250GB SSD that will immensely improve all actions from your computer. This powerful comes with 120mm AIO water cooling system for superior cooling performance, airflow, and absolute quietness. In conclusion, you must see the system yourselves to appreciate the beauty & quality that SkyTech designs.